We do not accept registration of individuals. We accept registration from the following types of corporations: "Kabushiki Gaisha"「株式会社」, "Yugen Gaisha"「有限会社」, "Godo Gaisha"「合同会社」, "Goshi Gaisha"「合資会社」, "Shadan Houjin"「社団法人」. We use the best of DigiCert's next generation encryption, multi-sig transactions, human verification of deposits and withdrawals, and store our bitcoins in cold storage. With bitWire, you can send bitcoin instantly, without meddling with Bitcoin addresses. 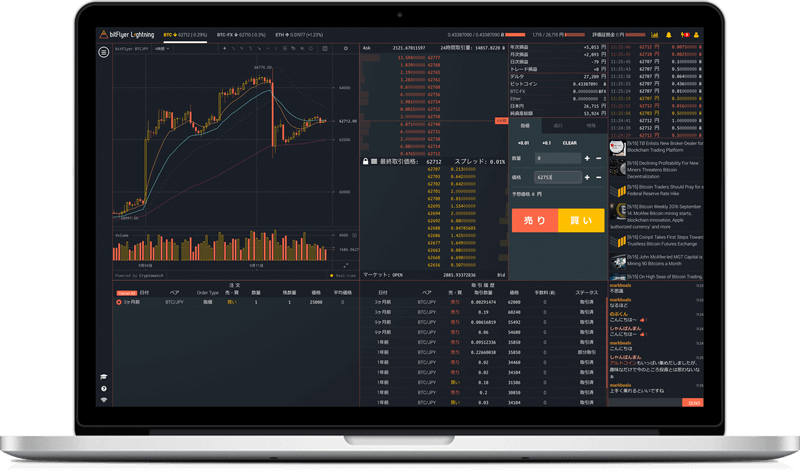 Lightning, a trading platform, boasts outstanding operability, and offers an authentic trading environment.